Earth’s atmosphere may have been leaking oxygen onto the moon for billions of years. Energetic particles from the solar wind bombard the moon nearly all time, except for a five-day window each month, when Earth passes between the sun and moon. While Earth’s magnetic field protects the moon from the sun’s barrages, it also creates its own sheet of ions that stream between the two. This area, called the plasma sheet, is made primarily of hydrogen but also contains some high-energy oxygen ions. When the moon is within the plasma sheet, oxygen ions from Earth can be blown onto the moon’s surface, where they linger at depths up to 2 micrometres. Over the course of 2008, Japan’s SELENE orbiter – nicknamed Kayuga – passed with the moon into Earth’s shadow every month, counting ions as it went. 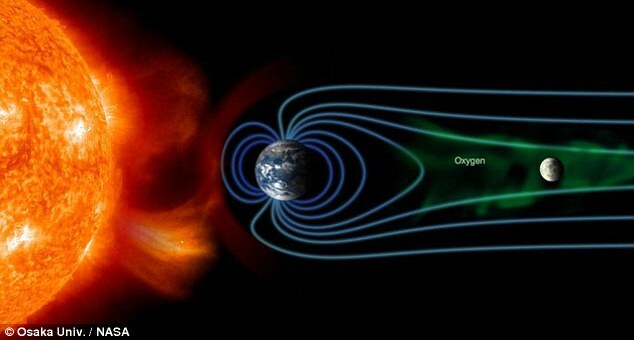 It found unexpectedly high concentrations of high-energy oxygen ions on their way from Earth to the moon – ions that could not have come from the solar wind. “The ecosphere is stabilised by the moon and plants do photosynthesis to make oxygen, then that oxygen is transported to the moon,” says Kentaro Terada at Osaka University in Japan. Those ions on the moon could help us understand how water and other volatile compounds are made there. “Where the oxygen and hydrogen on the moon come from, and if and how they’re converted to water, is of great interest scientifically and for returning humans to the moon in the future,” says Kathleen Mandt at the Southwest Research Institute in San Antonio, Texas. Plus, studying oxygen on the moon could help us understand the atmosphere it came from. We know a lot about what our atmosphere looks like now, but it is extremely difficult to study its history on a scale of millions or billions of years. 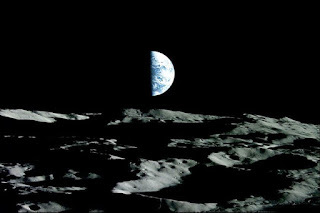 If atmospheric particles endure in moon dust, researchers may be able to learn about early Earth by studying the ion debris it left on the moon. Even Mars, with its weak magnetic field, has a plasma sheet, which suggests that this process could be happening there too. Terada hopes that a planned JAXA mission to Mars’ moon Phobos could recover evidence of Martian history, too.